Dresser Christopher. 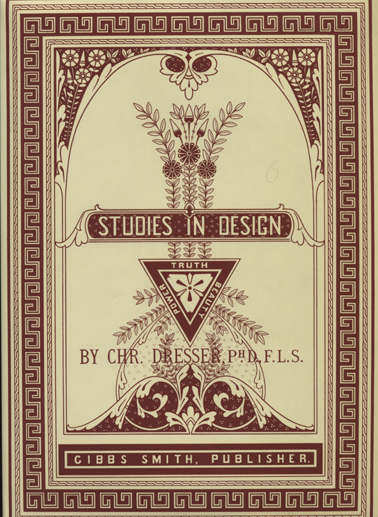 Studies in design. Dresser Christopher - Studies in design. Layton, Utah 2002, Gibbs Smith. 31 cm, s. , 40, , k. tabl. barwnych z ilustracjami, okładka kartonowa, obwoluta. Reprint, oryginał: London 1874, A. Goater in Nottingham. Ornament, wzornictwo.